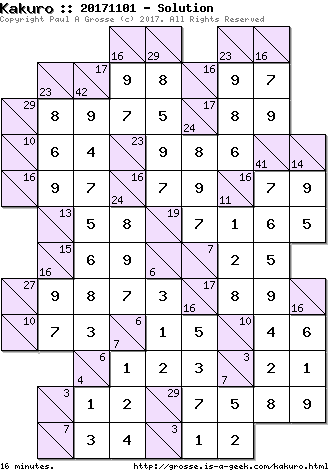 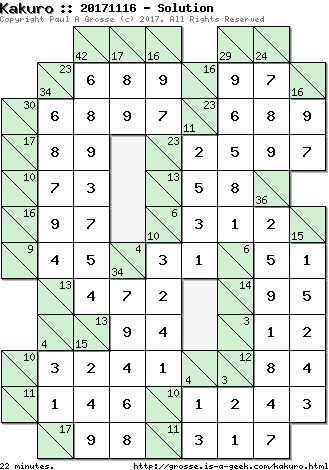 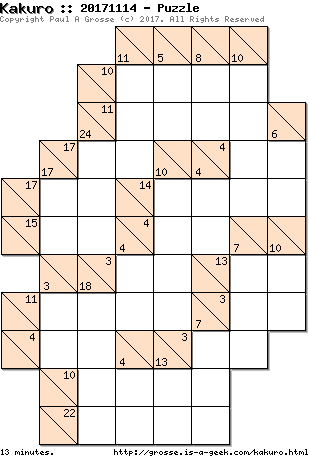 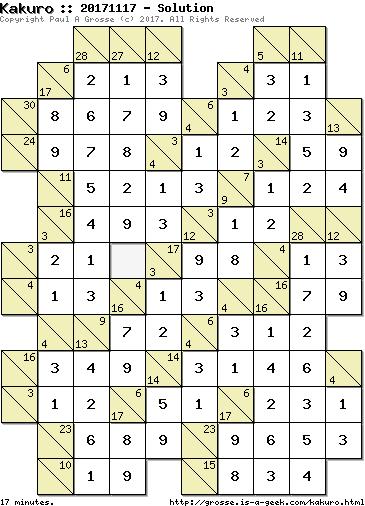 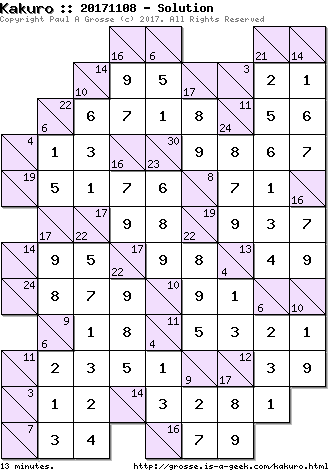 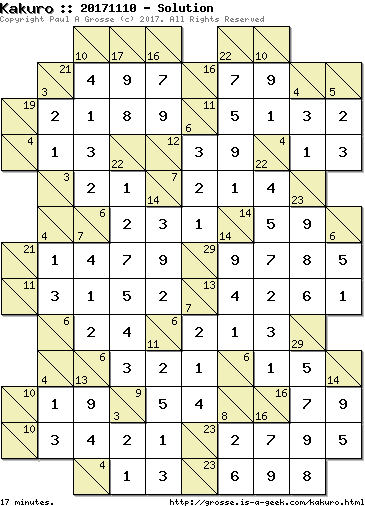 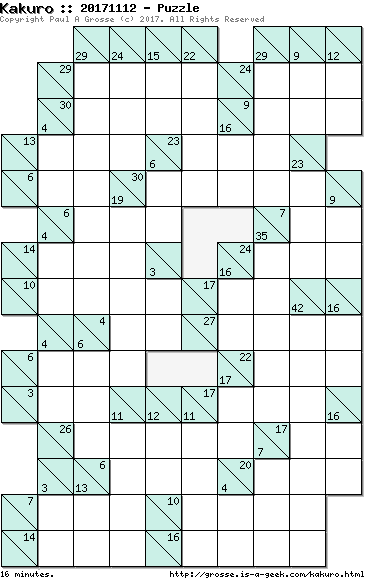 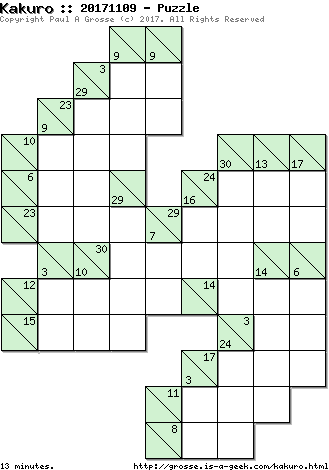 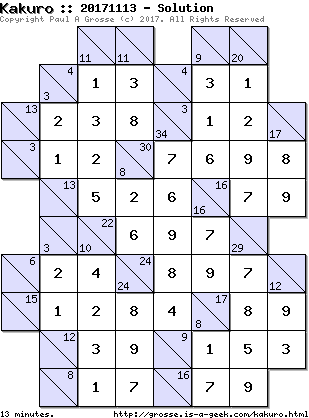 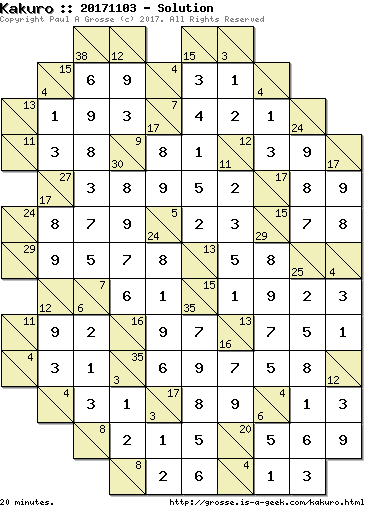 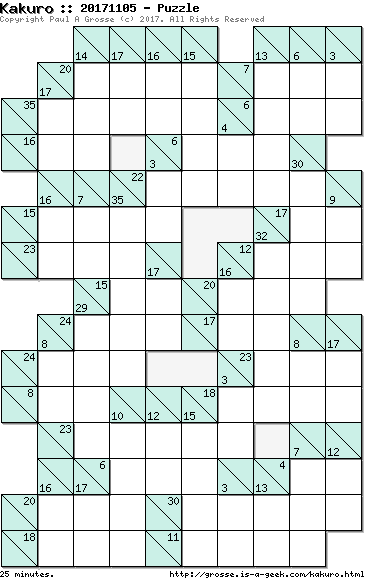 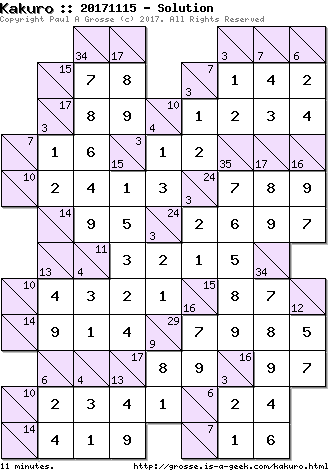 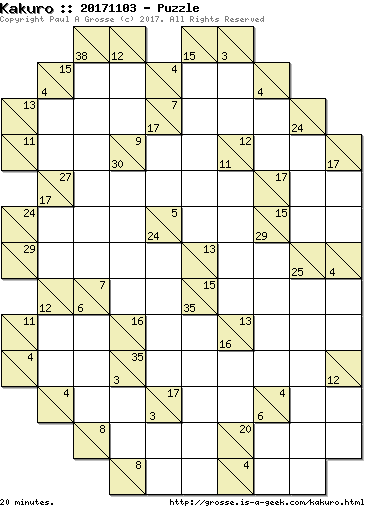 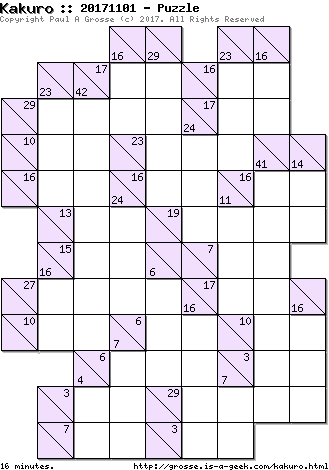 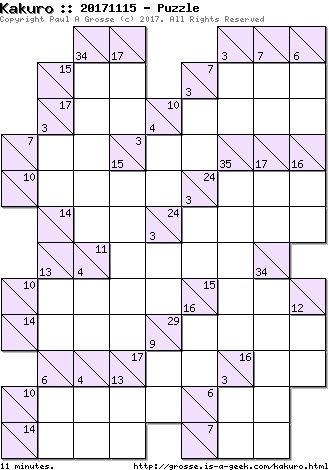 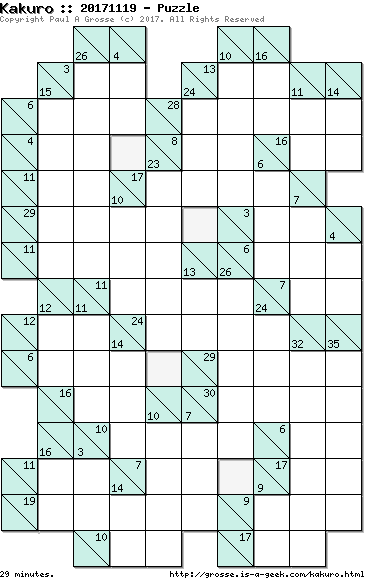 Just like the Sudoku puzzles, every day, I put a brand new, unique, symmetrical Kakuro puzzle on this web site for you to print out and solve and it doesn't cost you a thing. 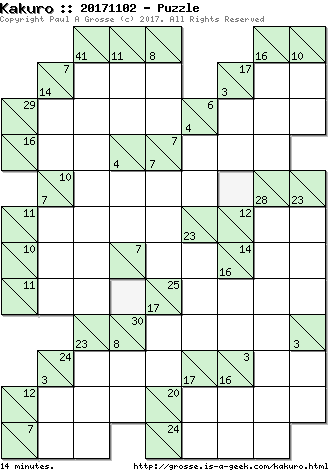 Again, these puzzles are produced by my computer, only for this site, using a computer program that I wrote myself in Perl. The solver part of my program uses logic and maths, it does not use brute-force. 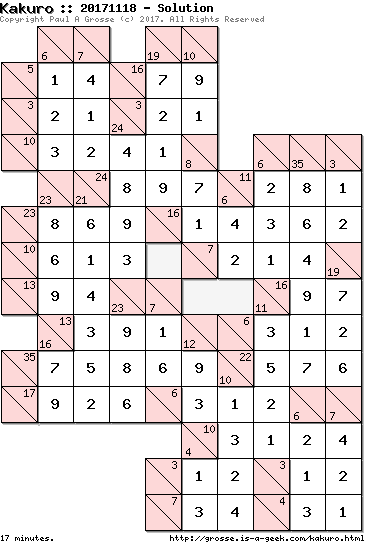 As a result of this, you will be able to solve them using just logic and maths. Like the Sudoku puzzles, there is a different puzzle for every day of the week including weekends. 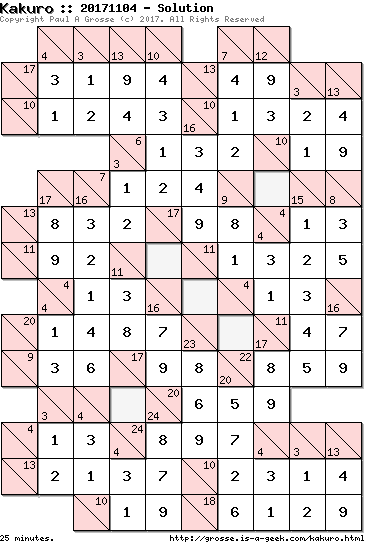 However, there size and difficulty increases during the week with the easiest on a Monday. 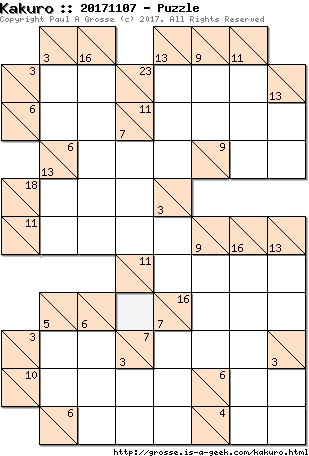 Note also that I am based in the UK so midnight (roughly when the new Kakuro puzzle is made) is based on UK time (GMT or BST, depending on the time of the year). 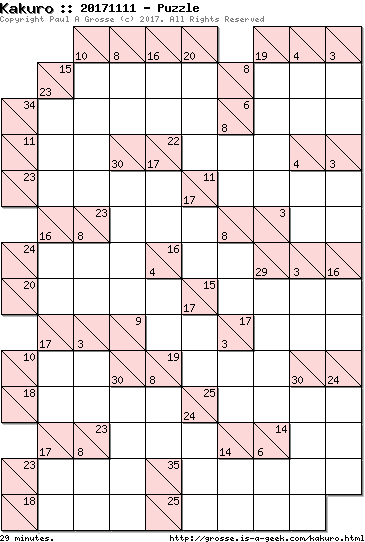 Your times... Start : . 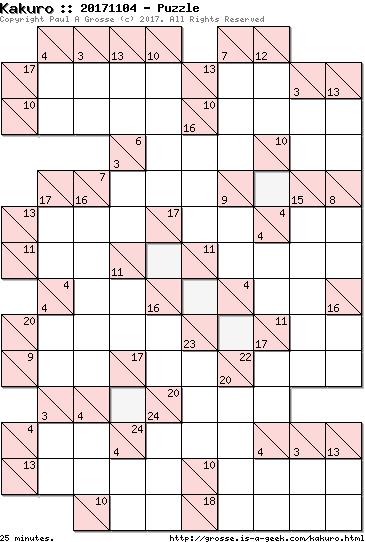 Finish : . Minutes taken: . 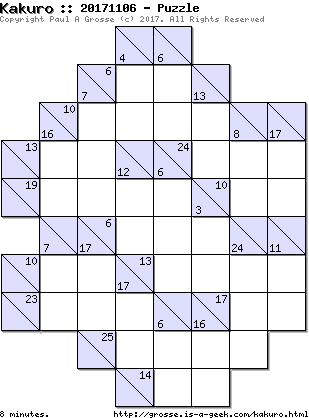 For yesterday's solution, click here. 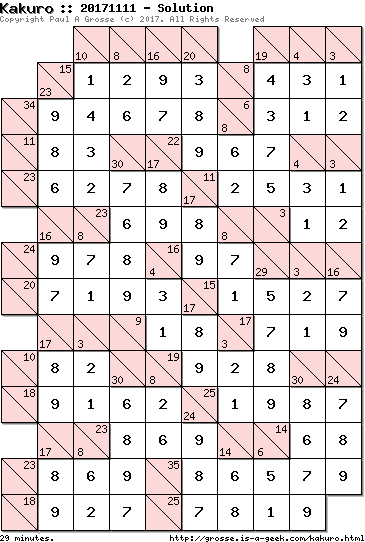 you can find the solution you need easier.